Rare 3rd floor Jade plan. Aderra's''Signature Series. beautifully renovated.' 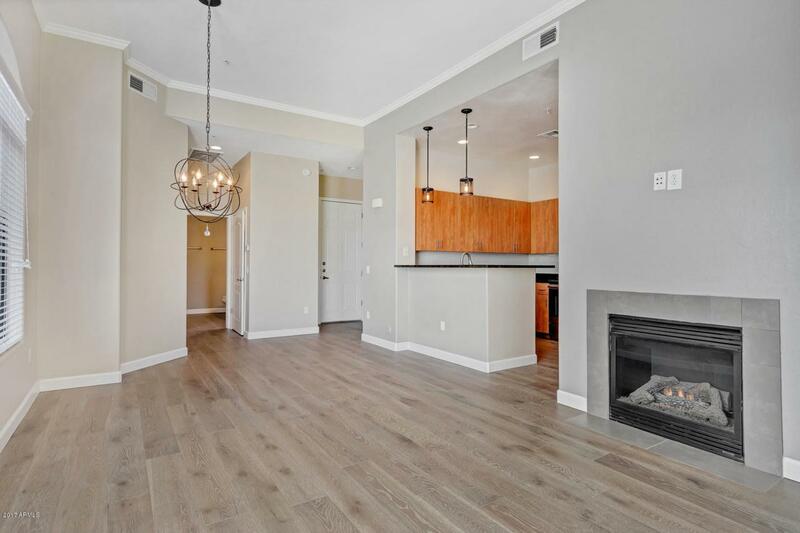 This stunning 2 Bedroom/2 Bath 3rd level condominium home w/gorgeous engineered wood throughout living area, kitchen and bedrooms + 12 x 24 tile in baths. Kitchen features granite countertop and Stainless Steel appliances. 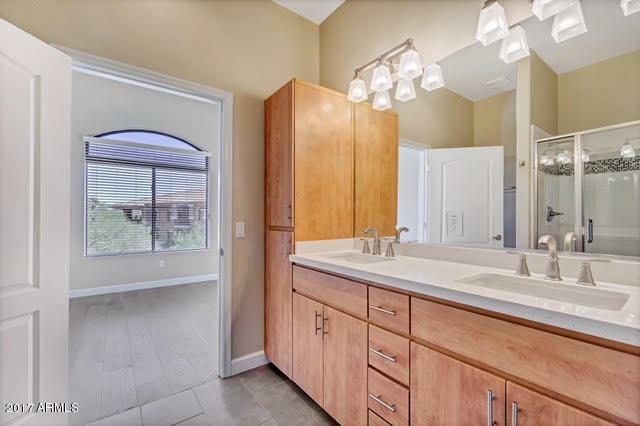 Also new lighting & faucetry in kitchen & bath plus NEW quartz bathroom countertops. Aderra offers beautiful outdoor spaces including heated pool & spa, gas BBQ grills & Ramadas, a full fitness center, TWO ASSIGNED underground parking spaces w/ elevators that take you directly up to your floor. Also featuring 11 ft. soaring ceilings, crown molding & gas fireplace. Includes underground storage unit.